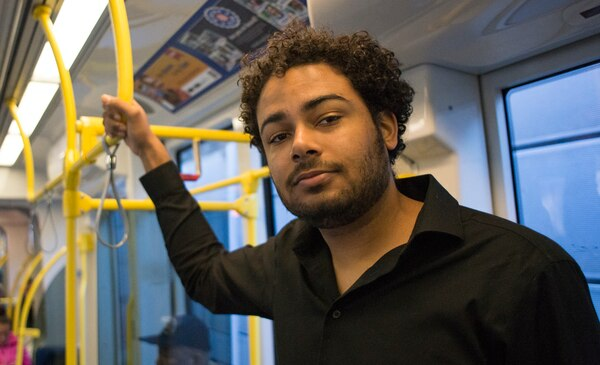 For the third year, the NW Black Comedy Festival will inject some diversity into the local standup scene with four days of showcases featuring comedians of color from the region and beyond. That includes Curtis Cook, named one of WW's Funniest Five in 2014, who has since appeared on Comedy Central, The Flop House and Portlandia. Multiple venues. Thursday-Sunday, Feb. 14-17. See facebook.com/NWBlackComedyFestival for a complete schedule. $15 for individual show tickets. Maybe you want to spring for a really nice gift for your loved one on Valentine's but are just flat broke. Pix Pâtisserie might have your golden ticket. On Feb. 14, one box of its handmade chocolates will also be hiding a pair of 14-karat, white gold stud earrings with diamonds. And even if you wind up with a no-jewelry package, the chocolate isn't a bad consolation prize. Pix Pâtisserie, 2225 E Burnside St., pixpatisserie.com. 4 pm-midnight Thursday, Feb. 14. It's like MusicfestNW, but for talking! Listen Up brings together several of podcasting's heavy hitters, including first-wave podcaster Jesse Thorn and the hilarious tandem of Corinne Fisher and Krystyna Hutchinson, hosts of Guys We Fucked, along with shows focusing on weed, racism and true crime, among other subjects, for a multiday, multivenue celebration of the medium. Multiple venues. Thursday-Sunday, Feb. 14-17. See listenupportland.com for a complete schedule. $10-$99. You may leave this event slathered in a mixture of beef juice, blood and Worcestershire sauce, but the mess will surely be worth it. The beefsteak dinner was an event popular in the 19th century with the working class of New York, who would dive, hands first, into a platter of meat while downing pitchers of beer. You can help Ninkasi revive the tradition at this culinary event that has none of the trappings of a typical banquet—no white tablecloths or silverware allowed. Imperial, 410 SW Broadway, imperialpdx.com. 6:30 pm Friday, Feb. 15. $99.95, includes food and endless beer. The Woodsman Tavern has now been transformed into Tasty n Daughters, where you can be among the first to eat at the new space at this Portland Food Adventures dinner. The ticket price not only includes multiple courses and drinks, but also $55 in gift certificates to three of John Gorham's sister eateries, so you can eat your way through more of his empire. And you'll be doing some good. After a yearlong battle with a brain tumor, Gorham is directing all net proceeds to the National Brain Tumor Society. Tasty n Daughters, 4537 SE Division St., portlandfoodadventures.com. 6:30 pm Friday, Feb. 15. $150. 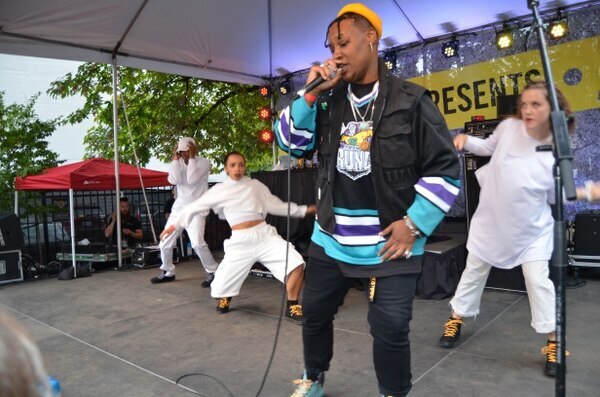 The Last Artful Dodgr has been one of the most powerful forces in local hip-hop for a while now, but last year saw the release of her most high-profile work yet when the rapper was featured alongside Snoop Dogg on Anderson Paak's Dr. Dre-engineered single "Anywhere." Her first hometown show in months also features Karma Rivera and Maarquii, local rappers who are more than capable of standing up to Dodgr's distinct timbre and lyrical punch. Doug Fir Lounge, 830 E Burnside St., dougfirlounge.com. 9 pm Saturday, Feb. 16. $15. 21+. Eleven years ago, a few dozen breweries decided to welcome customers for behind-the-scenes tours in what became the first-ever Zwickelmania. That's now grown to include more than 120 participating beer makers across the state and draws anywhere upward of 40,000 people. In fact, the event has gotten so big, it's broken up into two separate weekends. This Saturday, brewers in the Portland metro area will show you how they turn water into beer and provide special tastes of batches in the making from their tanks' zwickel valves. And for the first time, 37 breweries teamed up to create a beer for Zwickelmania. Look for Collab West Coast IPA in bottles—sales support the Oregon Brewers Guild. And there's no reason to drive because Brewvana and EcoShuttle are offering transportation at no cost to attendees. Various participating breweries. See oregoncraftbeer.org/zwickelmania for a complete schedule. 11:30 am Saturday, Feb. 16. Free. 21+. After a year of hype, Justin Timberlake is finally coming to Portland. 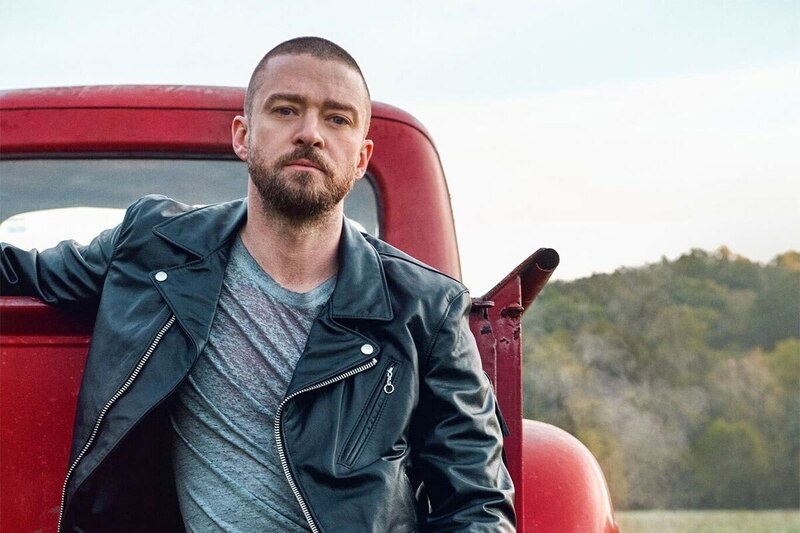 Timberlake's Moda Center show, announced during the peak of the backlash for his Man of the Woods rebranding, was originally slated for November but ended up getting rescheduled at the last minute due to the singer's bruised vocal cords. At this point, the derision has dissipated, and JT's reputation as an inoffensive R&B hit maker has mostly been restored. Plus, his perfectly acceptable 2018 Super Bowl performance seems all the better now in light of Maroon 5. Moda Center, 1 N Center Court St., rosequarter.com. 7:30 pm Monday, Feb. 18. Sold out. All ages. With his new poetry book, Republic Cafe, David Biespiel explores the fallout—both physical and emotional—from 9/11. The collection tells the story of a pair of lovers in Portland, leading up to, during and immediately after the planes hit the towers. Along the way, Biespel draws comparisons to other great tragedies, like the bombing of Hiroshima and the Holocaust, quotes his own writing, and deftly weaves in a motif of crows. He'll be speaking with Oregon Public Broadcasting's State of Wonder host, April Baer. Powell's Books on Hawthorne, 3723 SE Hawthorne Blvd., 503-228-4651, powells.com. 7:30 pm Monday, Feb. 18. 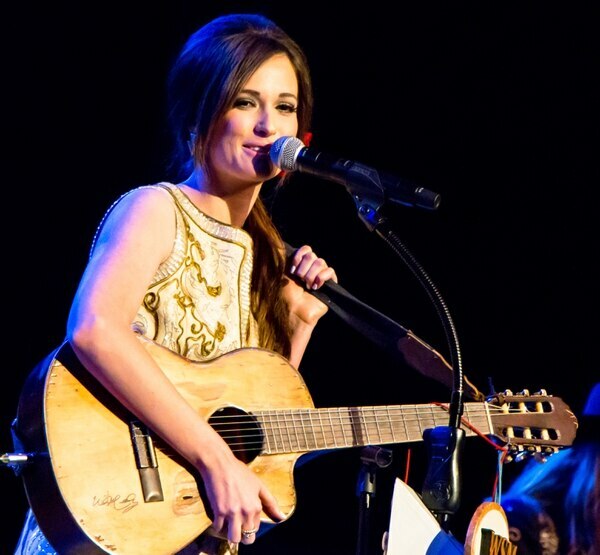 With Golden Hour, which won 2018 Album of the Year at the Grammys on Sunday, Kacey Musgraves firmly established herself among country songwriting greats while also defying the conventions of the genre. Musgraves' crystalline twang recalls Lee Ann Womack, and her wistful sense of melancholy channels Willie Nelson, but she still manages to seamlessly mix in disco beats and existential musings that are entirely her own. More than anything, Golden Hour is an album full of heart, casual wisdom and empathy. Arlene Schnitzer Concert Hall, 1037 SW Broadway, portland5.com. 8 pm Monday, Feb. 18. Sold out. Thomas, author of the smash hit The Hate U Give, returns with a second novel, On the Come Up. Bri wants to follow in her late father's footsteps as a great rapper. But when her first song goes viral, she'll find that fame comes at a price. Thomas speaks with Muse of Nightmares author Laini Taylor. Newmark Theatre, 1111 SW Broadway, 503-248-4335, portland5.com. 7 pm Friday, Feb. 19. $28.99.